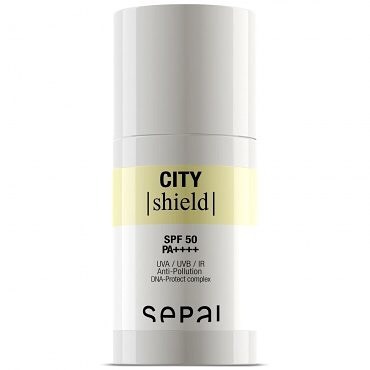 City Shield ver húðina gegn sólarljósi, mengun og öðru umhverfisáreyti svo húðin fær ekki roða né litabletti. Krem sem jafnvar fituframleiðslu húðar og dregur úr ótímabærum öldrunareinkennum. Létt áferð kremsins hentar einstaklega vel undir farða fyrir allar húðgerðir. Hentar útivistarfólki og borgarbúanum sem nýtur þess að vera mikið utandyra. 29 ml. 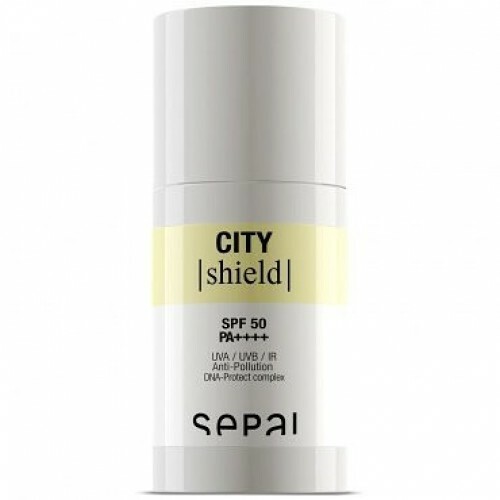 The City Shield photo-protector, with broad spectrum SPF 50, is the most advanced global protection shield for the skin. Its exlusive formula DNA protect complex offers a state of the art defence against ageing and prevents from the harmful effects caused by the sunlight and the environmental pollution: the erythema, ageing, spots and DNA damage. Suitable for all skin types. 29 ml.